Starting with crate washers for breweries, the diversity of businesses we serve expanded over the years to all industries that use crates and cases as transport containers. Today, our crate washing systems can be found worldwide in breweries, mineral water producers, soft drinks firms, dairies and large-scale bakeries. Thanks to the modular design of our machines and the cleaning steps involved, our crate, case and pallet washing systems are predestined for use in confectionery shops, meat cutting businesses, fruit and vegetable firms, fish and pharmaceutical industries and at logistics companies. For years, in addition to increasing cleanliness and hygiene requirements, gentle cleansing treatment of crates has been to the fore at breweries, mineral water producers, soft drinks firms and dairies. Whereas in the past drinks crates were merely transport containers, nowadays they are high-value printed and decorative marketing instruments used in specialist beverage markets, petrol stations and the like. With all-round dirt-dissolving immersion soaking, high pressure nozzle systems specially adjustable for dirty corners and gentle crate conveyance, we ensure maximum protection of print with greatest possible crate cleaning and hygiene in all performance classes. 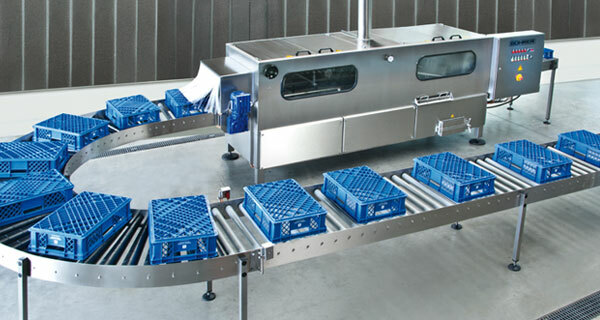 The cleaning of cases and containers in the food industry imposes high demands on cleanliness and hygiene in case and container washing systems. Firstly, the container must be cleansed of all dirt and residual food, and secondly, the food industry requires maximum hygiene for product safety. 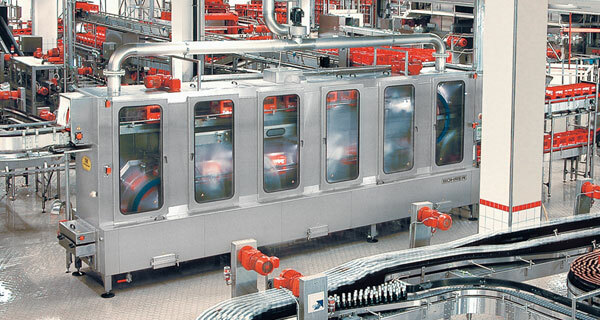 The BOHRER company meets these challenges with individually tailored cleaning systems such as compact tunnel washers for high crate throughput at dairies, washing systems for cleaning high volume and fragile transport containers for bread and pastries, fruit and vegetables and cases for meat and sausage products, and for special hygiene requirements when cleaning containers for the fish industry.